Tell us about yourself and your family! I was born and raised in Germany. While I was in law school there, I met my husband, who was studying abroad at the time. He is from Miami! We just recently moved from NYC back to Miami with our 15-month-old son Magnus, whom we are raising trilingual (English, German and Spanish). Why did you decide to go to law school and become an attorney? What kind of law do you practice? I chose the law kind of by accident. Growing up in Germany, I wanted to go to college in the states. But since college is free and very good in Germany, my parents saw no reason to pay for an expensive American school. My law school is the most internationally oriented law school in Germany, so I went with the hopes of getting an education that would allow me to move to the US later on. And it worked! What is the most rewarding aspect of your career? Alternatively, as a working mom, what is the most challenging? I always work towards a goal - and the feeling of achieving a professional goal, or seeing a project come together (even if it’s “just” a transaction and I am “just” the lawyer on that transaction) motivates me and makes me a happier person. As for challenges, it’s always a challenge to juggle it all and carve out enough flexibility to also be a present parent, let alone the times where you have to care for a sick child or put out other emergency fires that inevitably flare up when you have a family. It’s a constant dialogue and it’s challenging not to feel disheartened sometimes. What advice would you give to other mothers looking to establish a career as an attorney? Look around to where you see role models of how you envision your life. It doesn’t have to be just one person - your role model can be a mix of several people: mothers, fathers, people who don’t have children - but I would always try to find places where you have people to look up to. You're also a blogger. What inspired you to pursue blogging as a creative endeavour? On maternity leave, for the first time since high school, I had time for my creative side. It’s been a total awakening for me - and I enjoy it so much! I love writing a good piece (legal writing is just not the same!) and taking fun photos and sharing my perspective. It has also allowed me to connect with so many wonderful people and even make some real friends, which I wasn’t expecting, but absolutely love! You shared a thought-provoking post a few months back on "the 3 month trick" you use for seeking balance, which I think is a great life hack! Can you briefly summarize the idea for us? 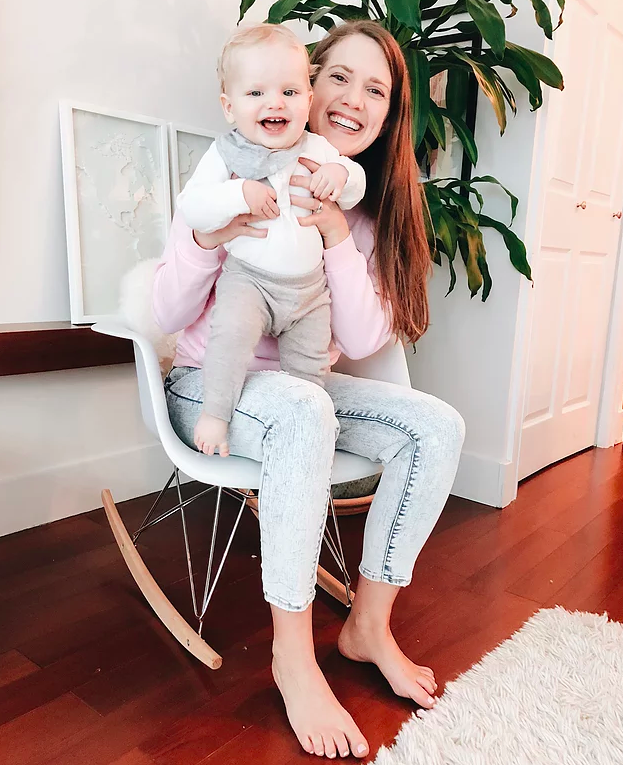 It’s an idea I got from the book The Fifth Trimester: The Working Mom's Guide to Style, Sanity, and Big Success After Baby The idea is that we all tend to get so caught up in our daily struggle that it sometimes feels overwhelming and imbalanced. If you zoom out and look at a longer recent period of your life - like a 3 month stretch - it’s probably going to look a lot more balanced over time. It’s a good practice when you can’t see the forest for all the trees, if you know what I mean. What's one thing you're struggling with as a mother right now (if you're comfortable sharing)?Finding a good schedule for my family that allows us all to enjoy each other’s company, get sh** done, and still each be individual people. Actually I’m not even sure a schedule is the solution, but I’m a planner, so it definitely helps me. What inspires you lately, be it something you've read, someone you've met, a hobby you've taken up, or anything else? I’m learning Portuguese! I’ve always loved learning languages and Portuguese has been on my list forever. What is your favourite activity to do as a family? Since we’ve been in Miami, I have to say weekend mornings at the beach. Before the crowds roll in, it’s so peaceful and I love seeing Magnus play in the shallow waves and develop the same love for the water that his dad and I share. Thank you so much, Janna! Say hi on Instagram @jannitasophie or visit her blog, Momo Etc. Sign up with your email address to receive fresh content and shop updates!